Congratulati ons to Laurence C. Gumina, President and CEO of Ohio Living and PAHSA Board Chair, upon his election to the 2019 LeadingAge (national) Board of Directors. Larry was elected at the LeadingAge Annual Business Meeting, October 30, 2018. Larry has served on the PAHSA Board of Directors since 2013 and as board chair since 2016. He began as President/CEO at Ohio Living in December 2011. 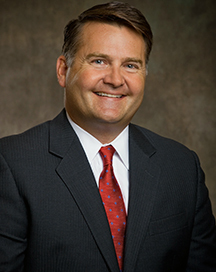 He has served as Vice President of Springpoint Senior Living in New Jersey and has prior executive experience in long-term care and hospital administration. Larry's dedicated leadership in PAHSA has proven to be valuable and appreciated. He will continue on the PAHSA Board for the remainder of his term, but has stepped aside as Board Chair in order to give his attention to the LeadingAge Board. Tim Webster, PAHSA Board Vice Chair, was elected by the PAHSA Board to serve as President until the association's next annual meeting, April 29, 2019. Tim is CEO of The Presbyterian Home, Inc., based in High Point, NC.